Description : Mumspaceaims to give mums every opportunity to succeed, both personally and financially, and embrace the challenges that come with motherhood. Founded by mums, mumspaceis a service designed to bring together the fantastic technology today’s web has to offer, and make it easy for your average mum to use. 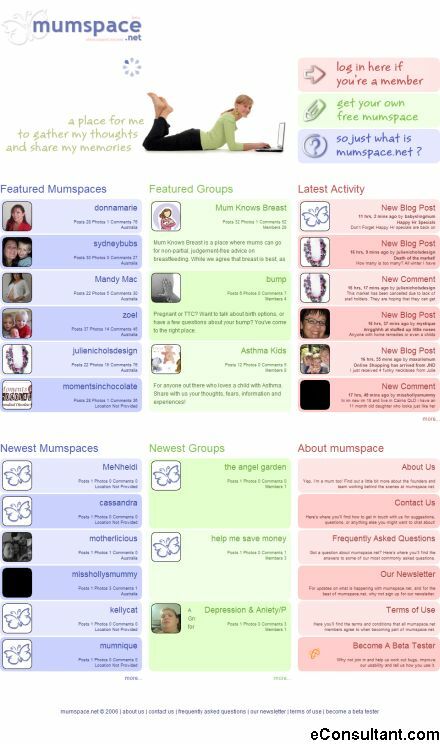 And while they’re using it, they can band together with other mums within the mumspace community.